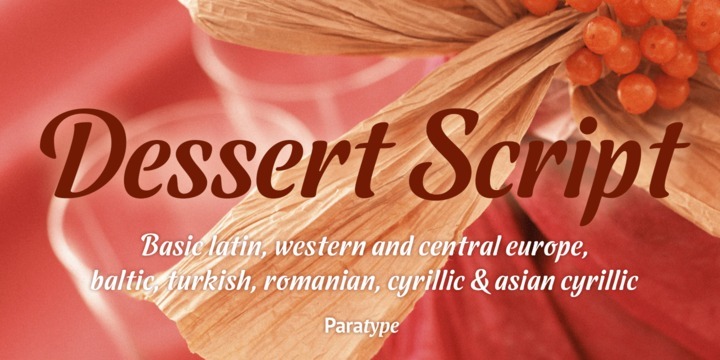 Dessert Script is a handmade typeface created by Alexander Lubovenko and published by ParaType which was designed to be suitable for sign painting, headline, short inscriptions, menus, magazines, posters etc. It has multilingual support. A font description published on Thursday, December 10th, 2015 in Alexander Lubovenko, Fonts, ParaType by Alexandra that has 3,502 views.